This year, the Anilogue International Animation Festival, November 28th to December 2nd, is organizing a focus programme featuring authors and films from Croatia, Italy and Slovenia. The ‘Adriatic Wave’ programme will screen a number of Croatian films, and Veljko Popović and Draško Ivezić, whose films will screen in the focus programme, are also members of the international jury. Furthermore, the competition programme will include Igor Grubić’s film How Steel was Tempered, while a number of other Croatian films will screen in other festival sections. The focus on Croatian, Italian and Slovenian films at this year’s Anilogue celebrates the ‘renascence of animation in these countries’. The focus programme 'Adriatic Wave' will screen films by Croatian filmmakers Veljko Popović and Draško Ivezić, who are also members of this year’s international jury. On November 30th at 15:00, Veljko Popović will introduce his retrospective programme and speak about his work. The Anilogue audience will have the opportunity to see all of his films: Cyclists, Planemo, Father, Dove sei, amor mio, My Way and She Who Measures. On the same day, during the second part of ‘Adriatic Wave’, producer and filmmaker Draško Ivezić will speak about his collaboration with Chintis Lundgren with whom he made Manivald, a film which won the audience award at last year’s Anilogue. Ivezić will present his films: Love and Vehicles (whose script he co-wrote with Chintis Lundgren), Manivald and A Demonstration of Brilliance in Four Acts, which was produced by his animation studio Adriatic Animation. The second part of the focus programme will also screen two films by author Jelena Oroz – Wolf Games and Two for Two. Screening during the third part of ‘Adriatic Wave’, focusing on new Croatian animation, are the award-winning films Simulacra by Ivana Bošnjak and Thomas Johnson, Bla by Martina Meštrović, A.D.A.M. by Vladislav Knežević and Hrvoje Pukšec, Why Elephants? by Marko Meštrović, Airport by Michaela Müller, Travelling Country by Vessela Dantcheva and Ivan Bogdanov, and Hedgehog’s Home by Eva Cvijanović. 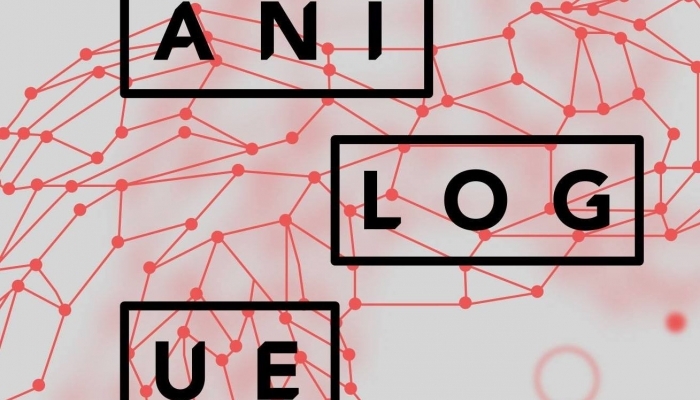 Besides screening in ‘Adriatic Wave’, Croatian films will also screen in three more sections at the Anilogue Festival. How Steel Was Tempered by Igor Grubić will screen in the official competition. Siniša Erecegovac’s film Gone with the Rain will screen in a special programme for children over the age of 8, while Lucija Bužančić’s film Process and Petra Balekić’s film “The Stranger” in My Head will screen in a programme dedicated to young animators from Central and Eastern Europe. The focus programme ‘Adriatic Wave’ is a result of a collaboration between the Croatian Audiovisual Centre, Paola Bristot and Andrea Martignoni, the programme curators focusing on Italian short animated film, the Slovenian Animated Film Association and Igor Prassel, director of the Animateka Festival in Slovenia. All details on the focus programme schedule and the festival itself can be found on Anilogue’s official website. This year, the festival will screen more than 300 short films and 14 feature length films. This year’s international jury including: Frantisek Ambrus (Hungary), Piotr Kardas (Poland), Veljko Popović (Croatia), Draško Ivezić (Croatia), Pedro Rivero (Spain) and Melinda Kiss (Hungary) will announce the winners for best short and feature length films on Sunday at 19:00. The winners will receive a 2000 EUR cash prize. The 33rd International Short Film Festival - interfilm Berlin, taking place from November 20th to 26th, 2017, is organizing a special focus programme on South Eastern European short film productions, and will include contemporary Croatian short film productions.